“By connecting an idea from a teacher in Maine to a principal in Oklahoma, or a teacher-entrepreneur in North Dakota with a foundation in New York, the Portal will be a national marketplace of ideas of how we can ensure that every American child will graduate ready to succeed in college and the workplace. “I’ve traveled across the country on a Listening and Learning Tour about education reform, and I have met countless Americans who want be a part of improving our schools. President Obama has set a goal that America, once again, will be the nation with the highest percentage of college-education citizens. To achieve that goal, we will need commitment – and the best and most innovative ideas – from all of our citizens. “As I have said many times before, the innovative ideas that will transform our education system will not come from Washington, D.C. They will come from communities across the country. Besides tapping the wisdom and insight of researchers and practitioners, one way the Education Department wants to use the Open Innovation Portal is to find matching funds and partners for the Department’s $650 million Investing in Innovation Fund. 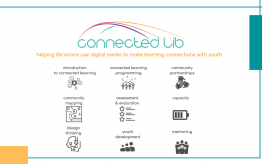 One of the 2010 priorities for the MacArthur Foundation’s digital media and learning initiative is being a part of new hubs of innovation. We need new physical spaces and new virtual places to convert our research and knowledge on what it means to reimagine learning in the 21st into impactful practice and policy. I can tell you firsthand that Jim Shelton and the department of Education is working very hard to understand and improve the 21st century learning landscape. Last week in fact the White House used its blog and social media channels on Facebook, Twitter and LinkedIn to ask, “What does a 21st century education mean to you?” Some of the responses are interesting and insightful. What is clear is that there is a growing understanding of the need to reimagine learning in this country in this century. With that deeper understanding comes a growing demand for change. 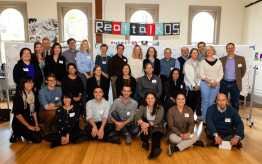 If those of us who’ve worked hard in the digital media and learning field contribute to, and collaborate with, meaningful efforts in the research, practitioner, and policy spaces, I believe this is shaping up to be a unique moment of opportunity.